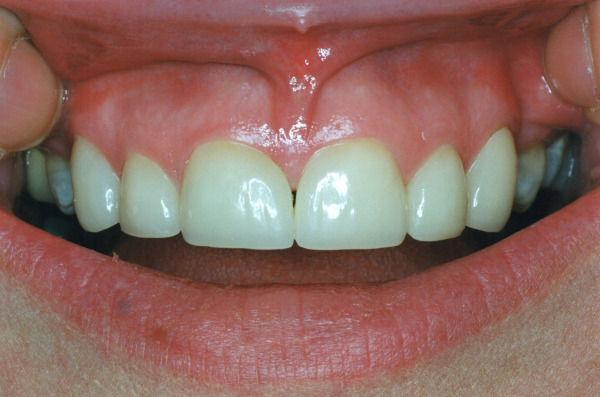 A perfect color match! 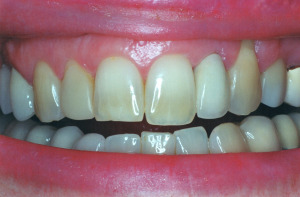 Can you guess which two are the veneers? 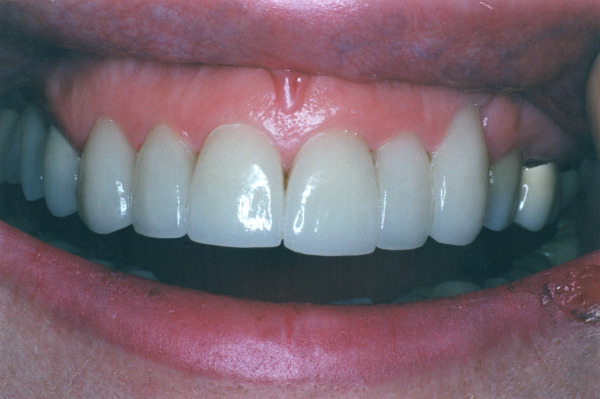 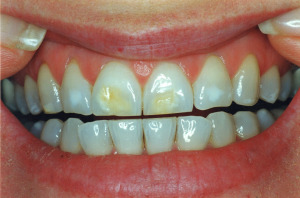 Veneers and crowns to improve the size and shape of the teeth. 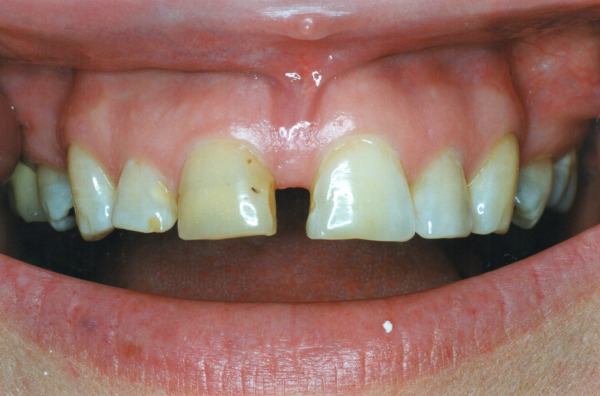 Can you guess which one is the implant? 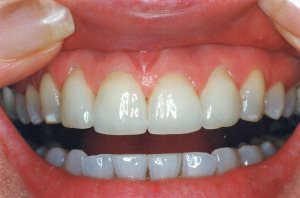 Veneers done on the front six teeth to "straighten" the teeth in 2 weeks! 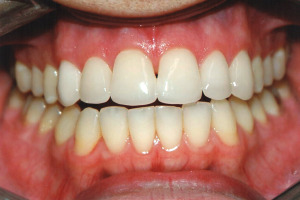 Veneers done on the front six teeth to "straighten" the smile in 2 weeks! 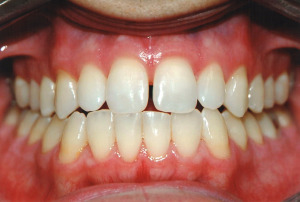 Veneers done on the front six teeth to close the gap-without braces!